Just as DVD players can already handle plenty of other kinds of media, so too will next-generation machines as their market grows. 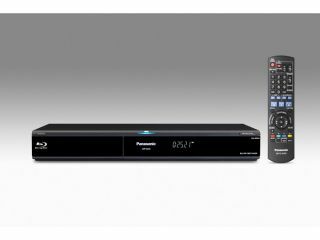 Thus, it’s no surprise that Panasonic has just created the first Blu-ray player that supports DivX video. The Japanese firm’s DMP-BD30EG/EE will be available across Europe later this month and appears to be an upgrade to the popular DMP-BD30 machine. Its appearance signifies that DivX Inc has approved it as meeting the various video and audio standards required to gain the coveted badge. DivX is a compressed MPEG-4 variant that can be thought of as analogous to MP3 in the music arena – in other words, it’s popular for online distribution. Downloaders typically watch DivX video on their computers, but machines like the BD30EG/EE make it easy to burn a disk that can be enjoyed on the living room TV. It doesn’t take a PhD to work out that there are plenty of bootleg movies in the geek-friendly flavour, but Panasonic and DivX Inc will obviously be hoping for more legitimate uses.